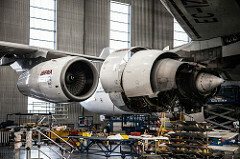 Home Best Practices MRO Trending What is MRO applied to the Aeronautical Industry? Anyone working in the supply chain industry knows what MRO stands for: Maintenance, Repair and Overhaul. MRO can be applied to a wide range of industries, from small products to bigger ones, like aircraft. As explained in a previous post: The Aeronautical Industry: ready fortake-off!, the aeronautical MRO market is experiencing booming growth due to an increasing number of passengers. Airline companies have to closely follow manufacturers’ instructions and comply with standards defined by national and international authorities, with the sole goal of continuously increasing flight safety and ensuring better flight quality for the passengers. Yet, most airlines companies’ clients know little about how MRO contributes largely into making planes the safest way to travel today, what it entails to, and how much it costs. Aeronautical MRO can be categorized in 4 branches: Engines, Line Maintenance (including any unscheduled maintenance due to unforeseen events, scheduled checks as described above, maintenance on en route aircraft, etc. ), components repair and spare parts inventory, and heavy maintenance & modification. Each of these categories vary in necessary allocation of resources. For example, maintenance operation performed on engines (representing the current biggest cost segment of the 4 MRO categories) requires more material than Line Maintenance, which requires mostly man power. Also, MRO operations are performed either in-house, by the airline companies’ personnel, or out-sourced to certified sub-contractors, raising the question: what MRO services are outsourced and to what extent? As described in a previous blog post and in studies from IATA, the contract maintenance industry is continuously growing. Reaching 65% of the total direct maintenance spend for airline companies in 2013, it is predicted to continue to grow in the near future. While line maintenance is commonly performed in-house, airline companies tend to outsource heavy maintenance and overhauls operations, as these operations require more sophisticated equipment and more experienced personnel. Smaller startup airlines, for which investing in associated capital expenditure (equipment, personnel and training, etc.) 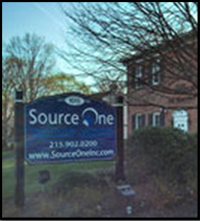 is not feasible, are particularly interested in outsourcing such services. Moreover, heavy maintenance along with spare part management are areas where airlines companies have often identified potential for cost-savings if out-sourced, as repair stations offer efficient and attractive solution to such services. So, who can perform maintenance operation on planes, and what is typically done during these operations? MRO in the aeronautical industry involves multiple actors. Airline companies are responsible for maintaining and repairing their crafts, while manufacturers are tasked with providing their clients with a complete set of documentation and maintenance and repair instructions. Only personnel authorized by the national airworthiness authorities (the Federal Aviation Administration (FAA) in the United States) can perform and validate maintenance tasks, following a strict maintenance plan defined by the manufacturers and to be completed every specified hours of flight or cycle (a cycle is one takeoff/landing). So, what is an aircraft MRO operation? Most of the manufacturers require their products to undergo regular testing, or “checks,” usually categorized as A, B, C or D. While the A, B and C checks usually refer to Maintenance operations, D checks refer more to heavy maintenance and overhaul operations. Indeed, the D check requires the aircraft to be immobilized for several weeks or months, depending on the type of aircraft and its associated total flight hours, and involves partially dismantling the aircraft to inspect and repair, if needed, every single component. Outsourcing MRO operations in the aeronautical industry is not a simple task. Airline companies’ challenged to maintain their aircrafts’ airworthiness while reducing the associated costs. Selecting and managing subcontractors capable of providing MRO services in alignment with international regulations and company objectives require resources, internal or external, such as strategic sourcing firms, to be done correctly.